The stretch between Thanksgiving Week and New Years Day is my favorite time of the year. It’s festive, there’s a whole different set of music to listen to, people decorate the outside of their homes in festive and sometimes breathtaking ways, and you get to eat lots of really fantastic food. There are a few drawbacks to the holiday season, though. People out and about in public are grumpier, going shopping means braving the crazed masses, and those awful lawn-balloon decorations. Ms. Jessica over at Female Parts reminded me of yet another. 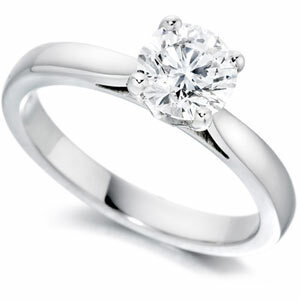 The holiday season overlaps with another season that I refer to as “Jewelry commercial season,” which stretches from a couple of weeks before Thanksgiving all the way to Valentine’s Day. This is when all of the jewelry commercials come out in full force after eight months of hibernation. These are some of the worst commercials on the face of the planet. They try to be sentimental and touching, but instead they come off as contrived, trite, and ridiculous (see the “PS” in the link posted above). You come to Christmas Day and you think you’re free… But noooooo, you’ve still got another month and a half of unbearable pseudo-sentimentality! Their holiday season culminates in February. I see these ads and the last thing in my mind is rushing out to purchase some jewelry for my wife. Instead, all I want to do is give “Kay” a Glasgow kiss, drop kick anyone who “went to Jared,” and sweep the leg on Vanessa Carlton. Happy friggin’ Holidays. I have no idea why, but this cracks me up every time I see it. The Mrs. found this last weekend, and I’ve watched a couple of times since, each time with the same result. Hopefully it tickles your funny bone like it did mine. The alpacas are taking over. 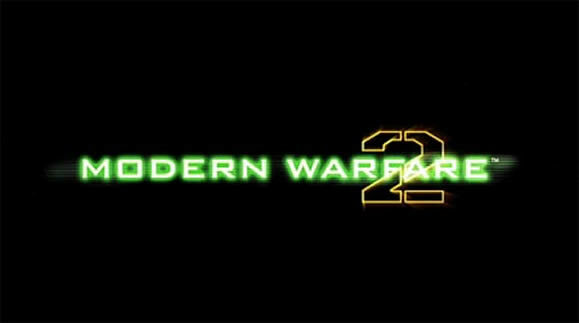 If you have a friend that’s male, or know any males at all, then it’s likely that you’ve heard of Call of Duty: Modern Warfare 2, which apparently is the biggest video game sensation since Fred Savage and company wowed audiences in the amazing “film” The Wizard. If you think Modern Warfare 2 is going to take up your or a loved one’s time, wait until you see this. Apparently Infinity Ward is close to releasing its next groundbreaking warfare simulation. It’s so realistic, you have to see it to believe it! Check out the video and get ready to have your mind blown. This week I started my seventh of nine quarters of law school. I am, officially, a 3L. I should be excited. I should be seeing the light at the end of the tunnel. In some ways, I am. I am aware that we are nearing the 250 day mark in the countdown until graduation. I know that in a year from now I will know whether I passed the bar or not. But there’s one big hitch that’s dampening my excitement about being a 3L. You see, at most schools, the 3L year is a year of relative ease, filled with many golf games and other relaxing activities. At the vast majority of schools, the most difficult times are behind you. The majority of your remaining classes are electives, so you get to set your own schedule with the classes that you want to take. The problem is, I’m not at most schools. I’m at BLS. My eighth and ninth quarters will be filled by Practice Court (PC), that mandatory hell-on-earth experience that all BLS students get to participate in. Hundreds of pages of reading a night, the constant threat of additional work for giving a bad performance in class, and the general erosion of health and well-being. It’s basically the BLS contribution to the zombie invasion. There are definitely aspects of it that I’m looking forward to; I think the exercises will be a great experience and I’m thankful for the fact that we get actual practice at all of this stuff before being kicked to the curb. Everyone who goes through it also always says that it’s totally worth it. But that doesn’t change the fact that it’s coming and it will be hard. So for me, the light at the end of the tunnel isn’t the freedom that it is for everyone else. 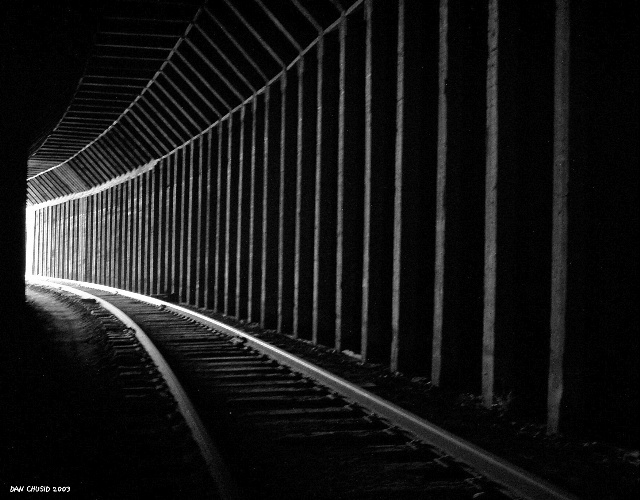 The light at the end of the tunnel is a freight train, and it’s headed straight for us. As this goes live, I am taking my last final of my 2L year. Ah, the joys of technology and delayed publishing. This had the makings of being a great punt return. Enjoy. When next we meet, I will be a 3L. I’ve recently been poking fun at both Verizon and Microsoft for their ad campaigns that steal a line from Apple’s ads and attempt to make it their own (to varying results). I don’t think I’ve referred to the latest in this line, the “iDon’t” ads, which push Droid, Verizon’s latest answer to the iPhone. There are some parodies out there already, so I didn’t feel the need to address them directly. What’s funny is that we come to find out today that to have Exchange support on the Droid, you’ll have to pay an extra $15 on top of your existing data plan. Of course, my response was “iDon’t pay extra for Exchange support.” Hiyo! But I digress. Today Gizmodo posted its review of Droid, and says “it’s the second best phone around, on the best network around.” Additionally, Windows 7 launched within the past couple of weeks, also to generally positive reviews. While there are aspects of the ad campaigns that I continue to find humorous, I am generally happy that both products are receiving positive reviews. Shocking, I know… From my writing, you’d think that I’m a complete Apple fanboy. While I don’t think I meet the complete definition of fanboy per se (complete diehard regardless of a system’s faults), I am an Apple lover and talk it up as much as I can. But their products aren’t without their faults, and I love seeing external pressure to improve. That’s why I’m pleased to see Windows 7 and the Droid getting positive reviews. Competition is a good thing. We think of competition in the context of sports or battle and we think of one side winning and the other losing; but I don’t want either side to win or to lose. Competition spurs innovation, keeps a developer on its toes, forcing it to continue thinking outside the box and reinventing itself. As a result, we have better products, more choices, and, hopefully, more fun ads and ads to make fun of.